“Kate” and “Pete” are rom-com characters from the late 90s, early 2000s, non? 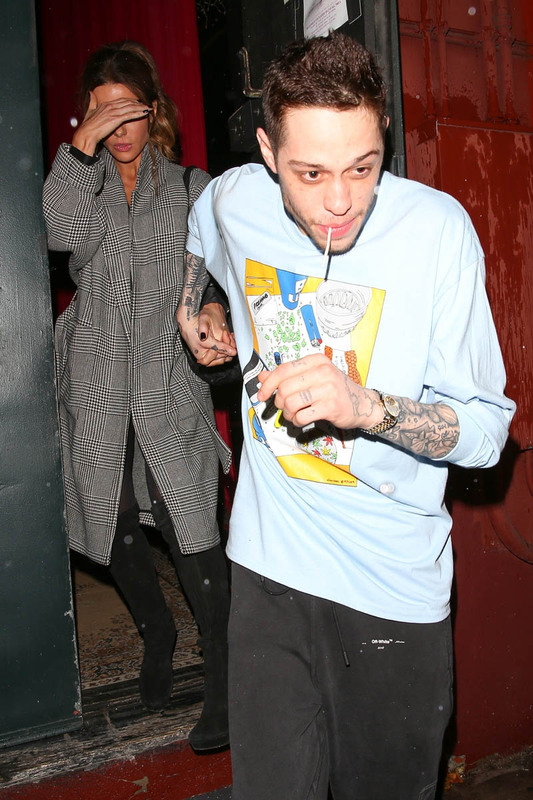 This is a real-life rom-com featuring real celebrities, Kate Beckinsale and Pete Davidson. We first heard about this situation during Golden Globes weekend when they supposedly hooked up at one of the parties. This weekend they were seen leaving his show holding hands, heading back to the hotel together. And this wasn’t a surprise gotcha by the paps thing either. The paps were waiting outside. It shouldn’t have been unexpected that they’d be photographed. Which is why everyone is calling this a confirmation of … something. Typically, when it’s a casual hookup, whether you’re a celebrity or a civilian, you’re not giving up the handholding shot or changing your status on social media. Does this mean it’s more than a hookup? Probably more than a hookup, right? I mean, I don’t think he’s going to propose in two weeks or anything but if Pete’s romantic history is anything to go by, he falls hard and fast. Height aside, I can see a certain physical similarity in the eyes, the bone structure. As for personality, I’m not saying Pete is a stage-trained classical theatre actor. Obviously not. But there might be a vibe – Michael, when he was doing Shakespeare, has always been described as a “fearless” performer that goes right to the edge, which is where the electricity is sparked. He has an offbeat, quirky energy, an attractive weirdness that gets sexier and sexier over time. Some would say the same of Pete? Pete’s film, Big Time Adolescence, premiered at Sundance last week and many who saw the film said that its big takeaway is Pete showcasing another side of his talent, prompting Vulture to ask whether or not Pete “could be a movie star”, highlighting his magnetism, charisma, and yes, a certain irresistible quirkiness that probably brought him to Saturday Night Live in the first place. If that’s the case, I can see Kate being drawn to that, non? 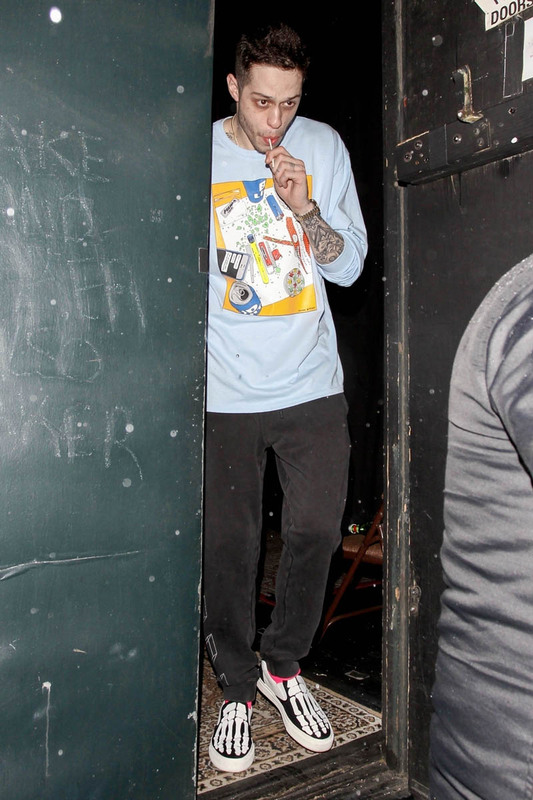 But could you ever have predicted that Pete Davidson would be the source and centre of so much Hollywood couples gossip?